Despite a pleasing design and a reasonable weight, its poor keyboard and lack of upgradability hold this model back. The AV2260-EH1 model of the Averatec 2200 Series has all the earmarks of a good budget ultraportable: a $950 price (as of 6/26/2006), 3-hour battery life, a pleasing 12.1-inch wide screen, and a 4.2-pound weight. As appealing as this package was, the 2200's cheap-feeling keyboard and non-upgradable design turned me off--in spite of its ultralow cost. The AV2260-EH1 has a sleek, black lid and bottom, which contrast nicely with the silver upper casing. 50% A handsome and affordable thin-and-light that doesn’t last long enough on a charge. 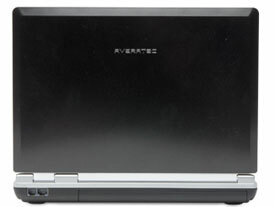 The Averatec 2260-EK1 is an affordably priced notebook with sleek lines and a nice 12.1-inch widescreen display. Its dual-layer DVD burner is a nice perk for the price, but the poor battery life makes this system less than ideal for anything but the shortest of road trips. Weighing in at 4.2-pounds, the 1.4-inch–thick 2260 is quite easy to tote around. The exterior casing has an attractive black matte finish with silver trim. 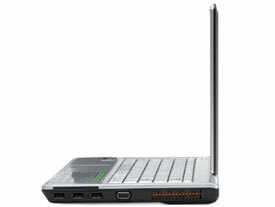 The inside is all silver, including the full-sized keyboard, which was responsive and roomy. The scrolling touchpad maintains the same aspect ratio as the display and supports four-way scrolling. The mouse buttons were intermittently sluggish, requiring several clicks to get the job done. MT-32: » Further information can be found in our Comparison of Mobile Processsors.